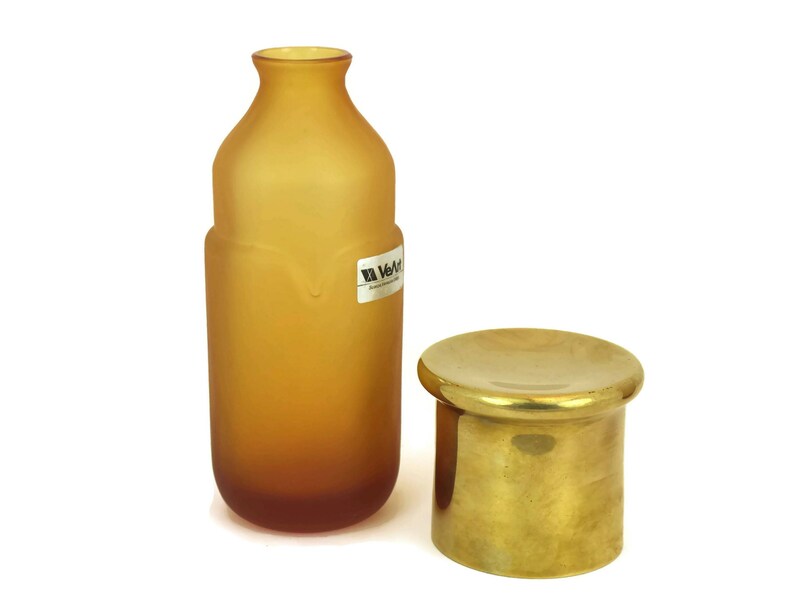 1970s VeArt Scorze Murano Glass Bottles with Brass Lids. 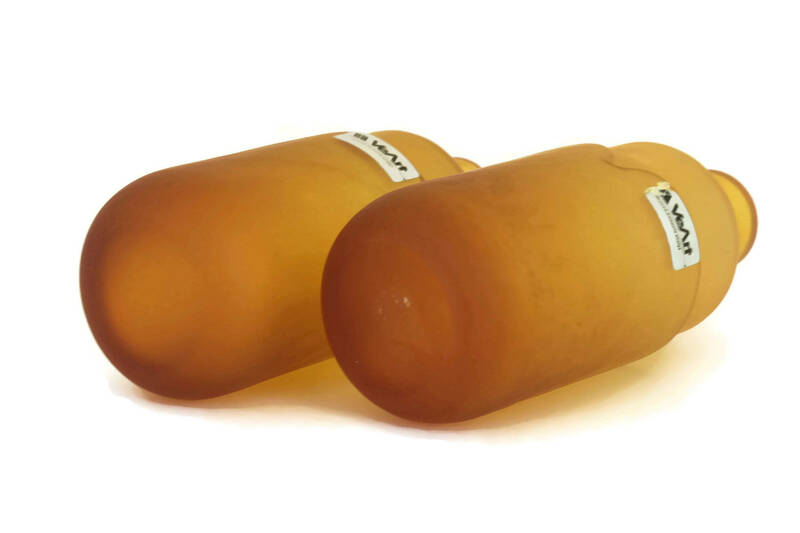 A stunning pair of vintage VeArt Scorze Murano glass bottles designed and made in Italy during the 1970s. 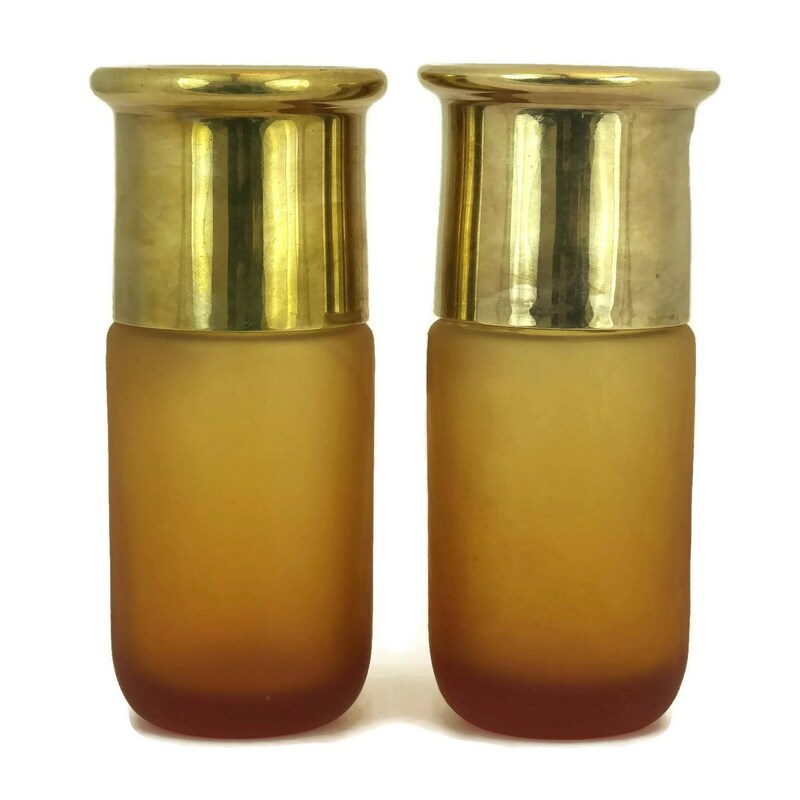 The matching pair of art glass bottles have been created from frosted amber coloured glass and feature stylish brass lids. 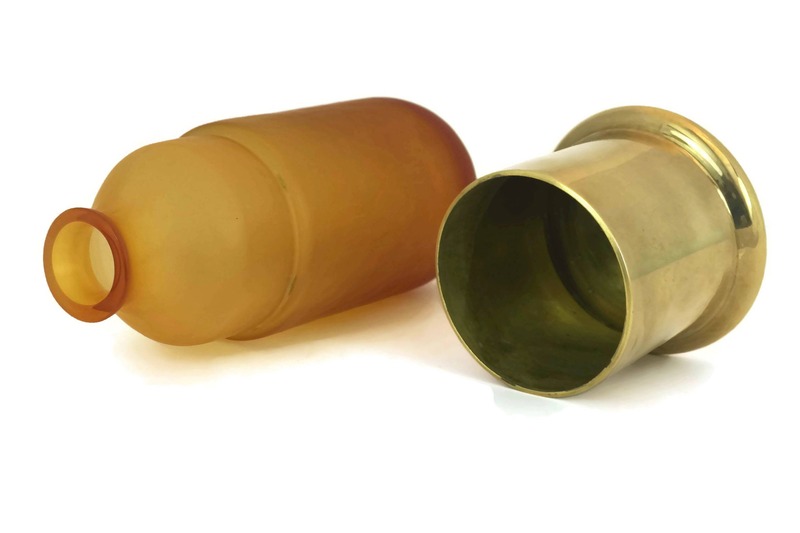 Each bottle has an elegant form and has been molded with a stylized "V" on the front. 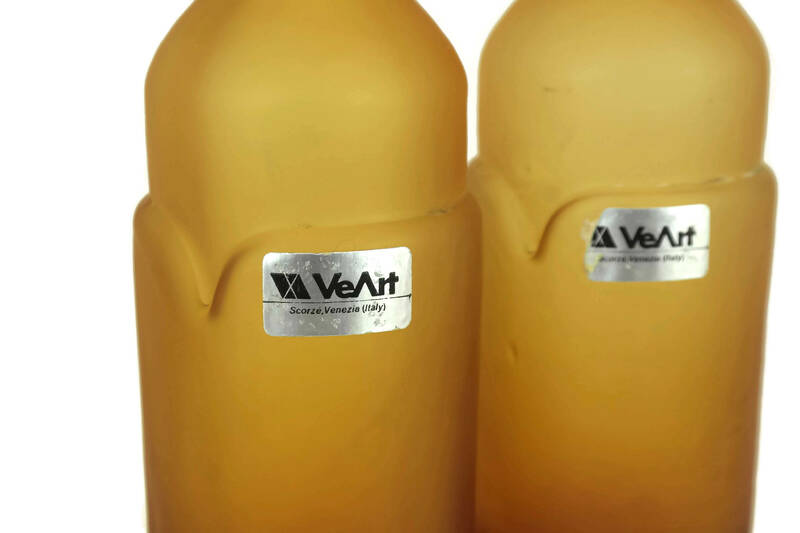 The bottles have their original VeArt Scorze manufacturer's tickets. 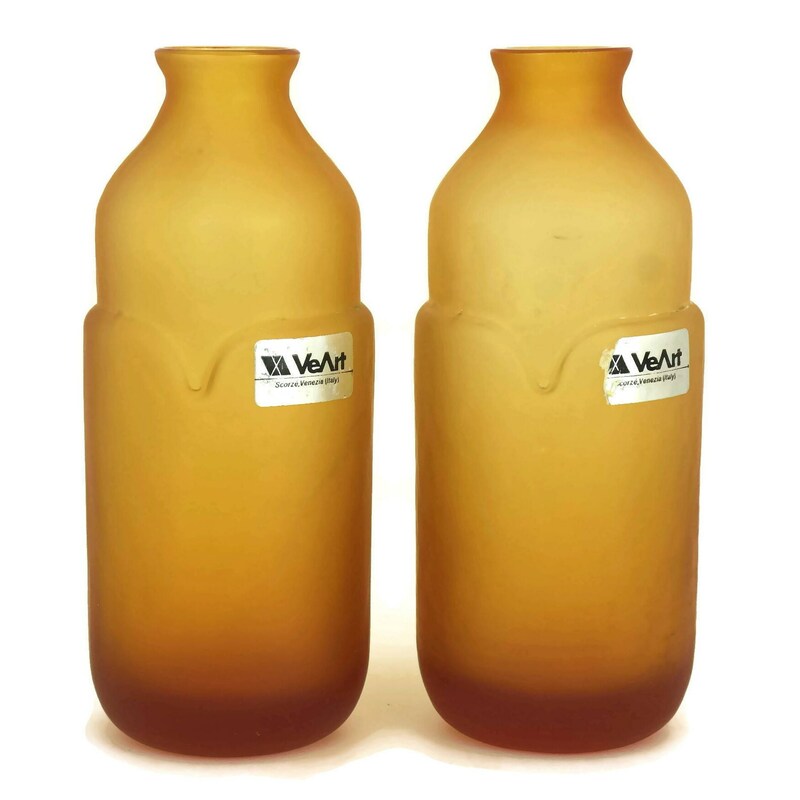 The VeArt glass company was established in 1965 by Sergio Billiotti and Ludovico Diaz De Santillana. 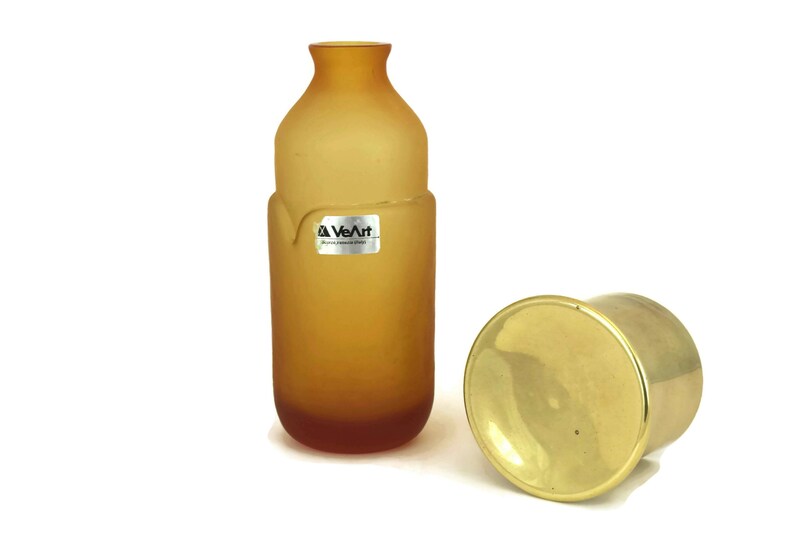 They created artistic glassware until the company closed in the early 1990s. 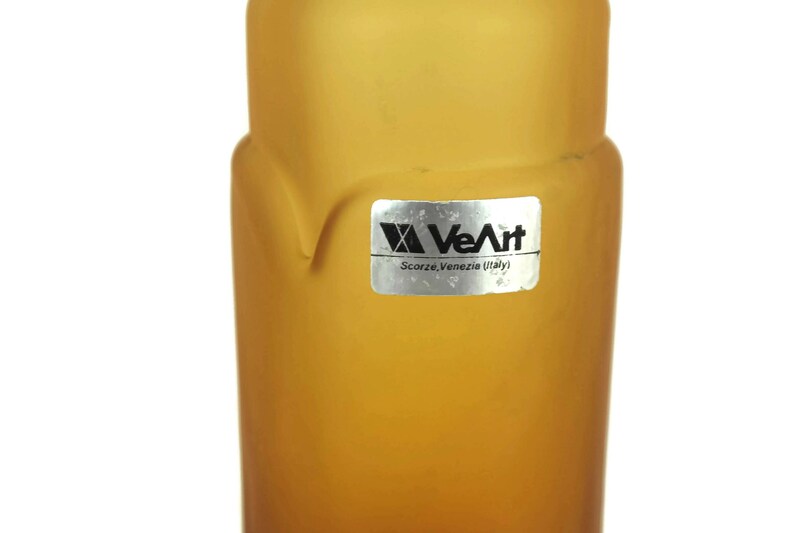 VeArt is acclaimed for their collaborations with designers like Toni Zuccheri, Umberto Riva, Tobia Scarpa and many more . 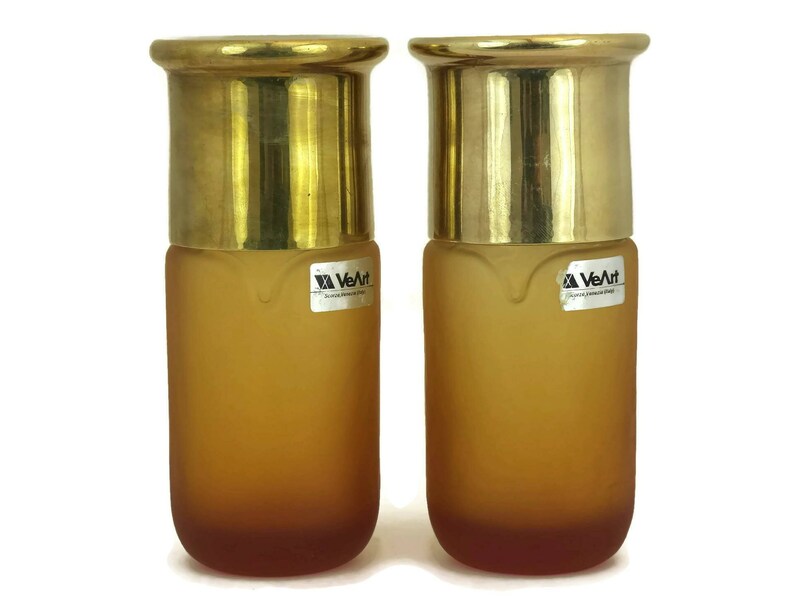 The pair of VeArt Murano glass bottles are in very good condition with light wear. 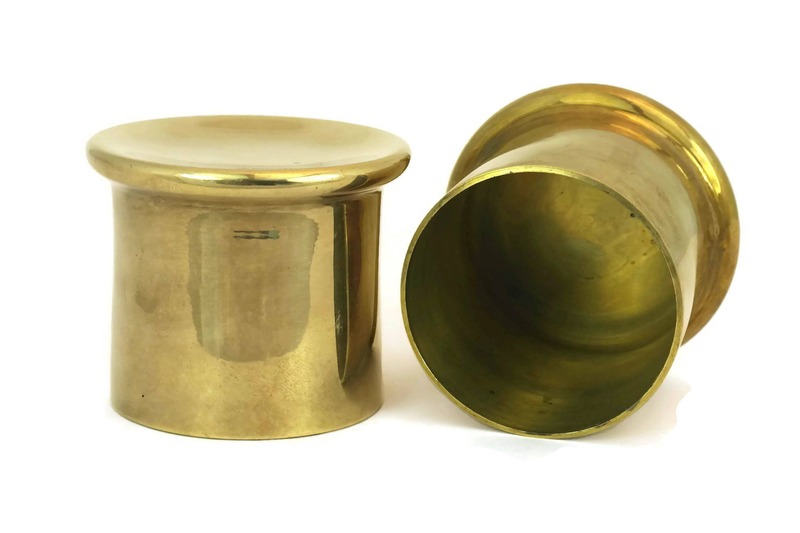 There is patina to the brass lids and wear to the paper labels.